Madhav Pipes and tube Pvt. Ltd is an independently owned and operated Gi Pipe Fitting Manufacturer Company which provides premium quality of Gi pipe fitting service in Chennai and meet the requirements of its client. 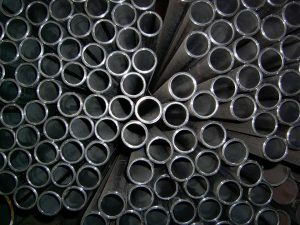 This manufacturing company is specializes in designing tubes and pipes and brings the best industry standards products for its clients. Its Gi pipes are quite strong and durable and stand with you for last long to get you the best support in your construction and other works in your residential and commercial location. Madhav Pipes and tube Pvt. Ltd is always strives to provide the best guaranteed service in an upfront price with no hidden charges. Gi pipes are the best pipes which are generally used in fabrication needs, construction needs and other industry needs like oil industry, furniture industry and others. Steel products are more in demand than the iron and quite durable by feature also. Madhav Pipes and tube Pvt. Ltd is the trusted Gi Pipe Fitting Manufacture in Chennai which provide different length and shapes of Gi pipes to cater all your varied needs. This pipe are not only thick by feature but not get corroded to any type of weather conditions like rain and heat. This leading company uses the best grade raw material and advance technology and the follow the industry standard quality testing formula to deliver the best qualitative products to its client. Madhav Pipes and tube Pvt. Ltd is one of the best Gi Pipe Fitting Manufacture in Chennai which never sacrifices the quality and provides the best superior finish products to its customer in an affordable price and help you to run home smoothly.